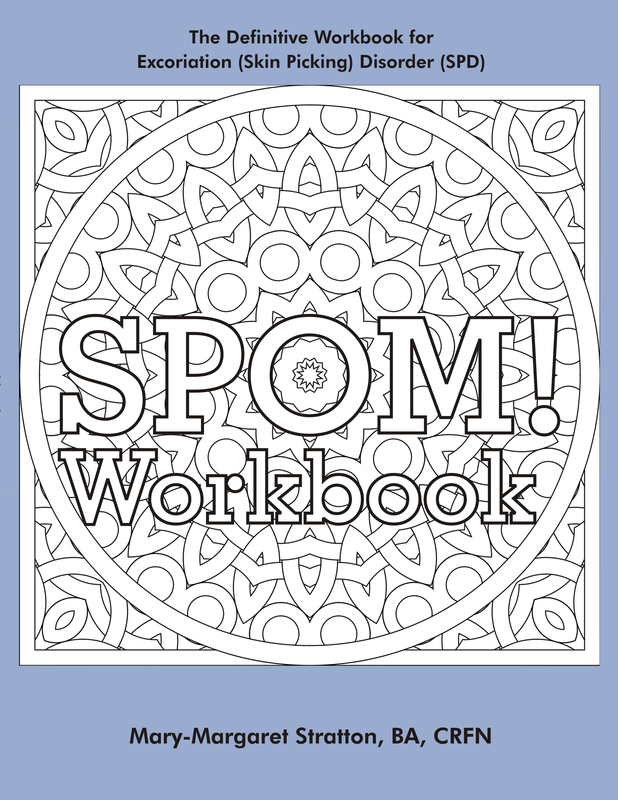 The SPOM Workbook provides step-by-step action plans and exercises based on the revolutionary SPOM! recovery system for Excoriation (Skin Picking) Disorder (SPD). 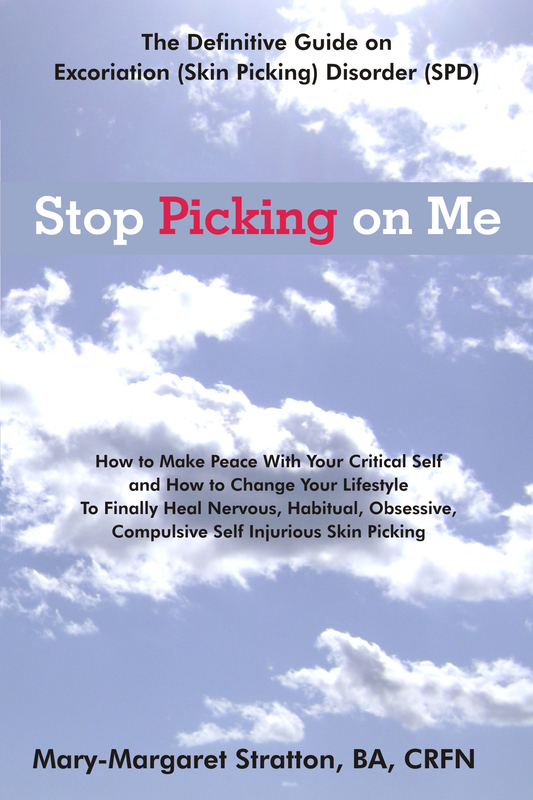 This highly interactive ‘Accelerated Learning’ workbook takes the guesswork out of trying to figure what your triggers are and encourages you to be proactive in making huge strides in your personal recovery. Essay Assignments, Nutrition Diary, Stress Assessments, Feeling Faces, Personality Profiles, Habit Charts, Consequence Recording, Coloring Book Assignments, Reward and Lifestyle Worksheets, Competing Habit Therapy, Problem Solving and Puzzles, Guided Meditations, Self-Talk outlines, Planning and Goals, Plus Support Team Agreements, & frame-worthy Affirmation Printouts and Recovery Completion Certificates! The SPOM! Workbook is fun, challenging and it will help you stay motivated, positive and totally inspired to stay pick-free!